A pool can be a great addition to any home. A pool is somewhere to cool off when the mercury rises, an entertainment space to enjoy with family and friends and a source of fun for people of every age. While most people are aware of the potential dangers to humans posed by pools, many, even including experienced owners, do not always recognize the risks that a pool poses to their canine companion. 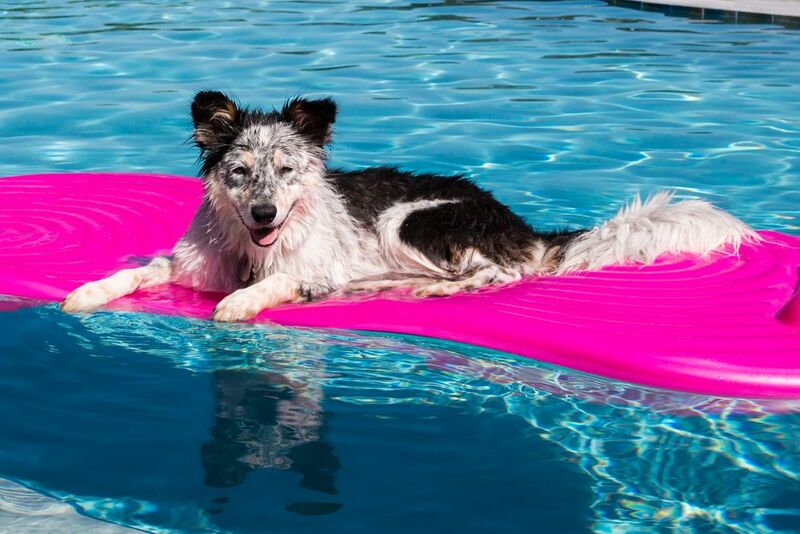 Here is everything that you need to know about how your dog can enjoy your pool safely this summer. Is your dog allowed in? Firstly, established if your pet is allowed in the pool. If it is your own personal pool, then it is up to you if you allow your dog to take a dip. However, if you live in a condo with a shared pool or are staying in a rented property then permission should really be sought first. You should also check with your vet that your dog is in good enough health to swim, particularly if he is in his senior years. This is because older canines are more likely to suffer from health complications such as seizures or breathing problems, and this can put them at greater risk of drowning than a younger, healthier dog. You should never assume that your dog can automatically swim. While many just start paddling the moment they enter the water, others will need to spend a little time learning to both stay afloat and propel themselves around. If you don’t feel comfortable with teaching your dog to swim yourself, there are plenty of professionals you can enlist the help of. If your canine pal isn’t a strong swimmer, you can always purchase a dog life vest. Although this shouldn’t be relied upon to keep your dog safe and he should never be left unattended in the water, it can make it easier for him to stay afloat, enabling him to enjoy his time in the pool without panicking about going under! Have you ever tried lifting a soaking wet dog out of water? Slipperiness combined with the added weight of their coat which has absorbed some of the pool water makes it a tricky task. Therefore, it is extremely beneficial for you to teach your pooch where and how to exit the water safely. Knowing how to get out of the water will also help eliminate him from panicking in case he accidentally falls in. Pools need chemicals to help keep them clean. However, prolonged exposure to these chemicals could cause irritation to your pet’s skin. Therefore, most vets will recommend that you rinse your dog off with cool, fresh water after pool time. Keeping your pool covered and inaccessible is essential if your dog is allowed outside without human supervision. If your pet is in the pool, or your pool is uncovered, you should supervise him at all times. For further advice on pool safety for dogs, do not hesitate to contact our helpful team.